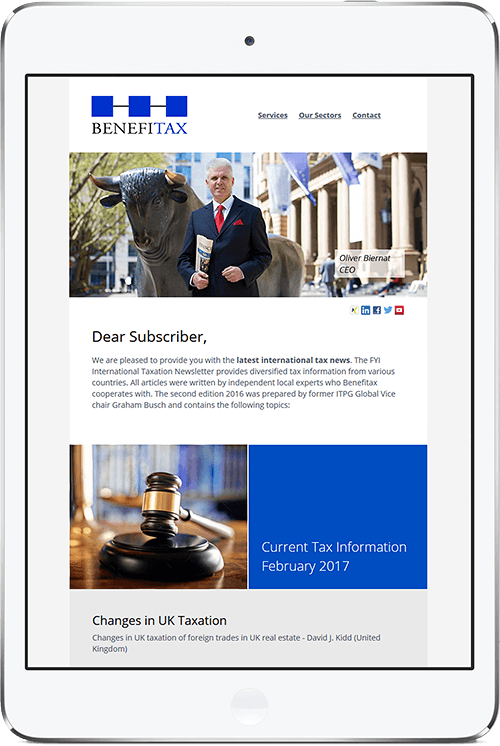 Subscribe to our newsletter published on a monthly basis with information on tax legislation and on other tax-related news from the Rhine-Main-region, Germany and all around the world. Be informed with just a few clicks. You can find a form to subscribe to the newsletter at the bottom of the page. Always informed with the Benefitax newsletter. Sign up.